Turkey one of the world’s fastest growing angel investor nations. Around the world, governments are embracing the role that business angels, collective investing funds and crowdfunding can play in funding and supporting entrepreneurs. The United States’ long history of enabling entrepreneurship means it comes as no surprise that it is miles ahead of any other nation – an estimated 300,000 business angels invest over US$24 Billion per annum. 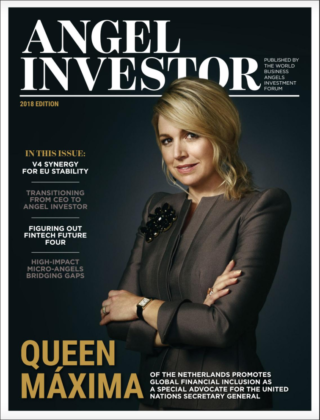 The UK by contrast has only recently seen exponential growth in the number of business angels, now tallying over 18,000 – up from approximately 4,000 a decade ago. Can other countries emulate this rapid growth? Early signs from Turkey suggest that this is certainly possible. Most countries face a much different reality to the US or UK, one where business angels are counted in tens or hundreds. Relying on organic growth of business angels is foolish given the importance for entrepreneurs to succeed. Since 2014 Turkey has taken steps to radically improve access to early stage financing. 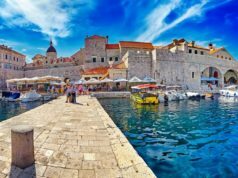 In so doing it has become a beacon of hope and important example to other nations of the role government can play in easing access to finance for SMEs and start-ups. Turkey’s Deputy Prime Minister, HE Mehmet Simsek, shares an oftoverlooked, but vital component that spurred on this journey in Turkey over the last few years. 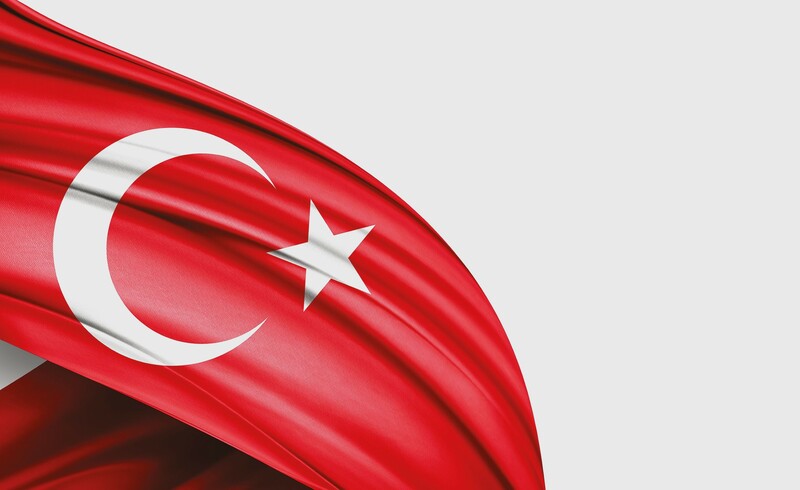 The Turkish government recognised that access to early stage finance is critical for continued economic development and sustaining GDP growth of 5%. Recognition and acknowledgement of this need by senior politicians is crucial to creating the political environment for policymakers and government officials to act. 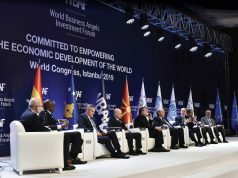 Over the last two years the Turkish government has embarked on three major endeavours to ensure this political will is converted into meaningful improvements and real development – (1) tax incentives have been introduced to increase angel investing; (2) fund of funds structures have been introduced; and (3) legislation is underway to enable crowdfunding. Accredited business angels in Turkey can now deduct 75% of the value of qualifying investments from their personal income tax. As a bonus, for investments into Start-ups or SMEs that have research and development supported by the public sector, the entire investment amount can be deducted. These incentives mean that business angels can approach investment opportunities with a completely different view of the risk involved. 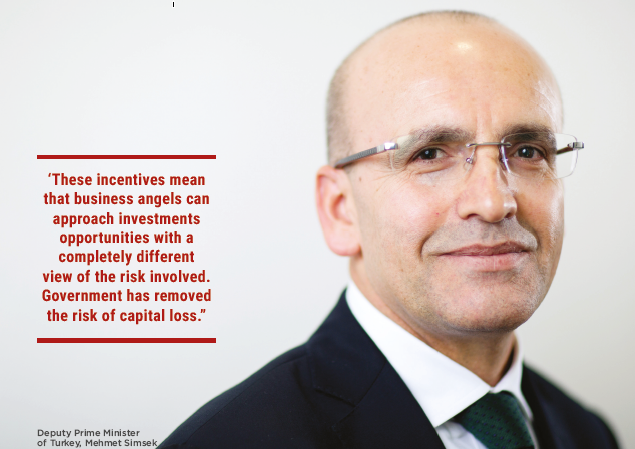 Government has removed the risk of capital loss, making investments more attractive; stimulating growth in business angels and increasing the real number of investments per business angel. 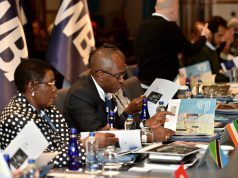 Three hundred and fifty-three business angels had already been accredited under this incentive programme by the start of WBAF 2016. Building a diversified portfolio of investments is one of the keys to mitigating risk and increasing capital returns. As an individual business angel, family office or even a venture capital fund it can be challenging to review and select enough investments to establish a portfolio. Syndication between investors is an important tool to encourage more investment activity. To encourage syndication and collective investing, Turkey has established a fund of fund structures. These funds make it possible for the government to deploy public capital in partnership with private investors. Over the past three years the Turkish government has contributed €200M to early stage funding through these funds. Globally, crowdfunding continues to grow and has done much to democratise early-stage funding. Through crowdfunding it is possible for Start-ups and SMEs to secure funds from a global audience. But crowdfunding comes in different shapes and sizes – the four principal forms are donations, products, debt and equity. The first two can, and have, flourished without enabling legislation. Debtbased crowdfunding can generally operate within the constraints of existing policies and legislation. Equity crowdfunding is more complicated. Investor protections are imperative and historical legislation governing public share offers tends to pre-date the internet as we know it today and social media. Equity crowdfunding though, is where real investment happens – to this end the Turkish parliament is working on legislation to enable equity crowdfunding in Turkey, putting Turkey at the forefront of nations unlocking equity crowdfunding. Turkey currently ranks 8th in Europe for ease of access to financing, the Turkish government wants to break into the top three. With a diverse economy, solid economic growth, proactive government, appealing climate, attractive tax incentives, and enabling policies, local and global investors have many reasons to consider Turkey a serious contender for their investment. While some may be concerned and nervous about geopolitical risks in the region the government is clearly pulling out all the stops to make Turkey a stand out country for entrepreneurs and early stage investors. This warrants the attention of those wanting to start or invest in the next Uber, Skype or Facebook.